Island living affords absolute polarities in both geography and the psyche–tranquility & isolation. This duality is present in the music of Pumice–the eccentric, flummoxing and oft-gloomy one-man band helmed by Stefan Geoffrey Neville of Auckland, New Zealand. Pumice’s pesky brand of loner Kiwi DIY is a colorful, desolate soundworld unto itself. On Pebbles, the umpteenth Pumice full-length outing, Stefan Neville excavates the mutant rock of Simply Saucer & the idiosyncratic, rhythmic compositions of Moondog (at his most playfully abstract), and re-contextualizes those touchstones via the pages of a mid-70s Incredible Hulk comic book. Pebbles offers the unlikely marriage of astute refinement and wild abandon, with songs uplifting & sincere, yet dark, with oddball substance to spare. 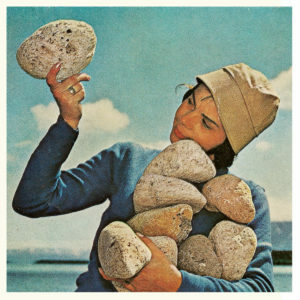 Featuring some of Pumice’s best makeshift pop songs to date, Pebbles even manages a few excellently fractured instrumentals that harkens to The Clean circa Oddities.